Like a bout of chicken pox, the celebrity crush is a childhood rite of passage that a lot of us just have to endure. The “fever”—whether it’s caused by Justin or the other Justin, a Spice Girl or a Cheetah Girl—is intense but short lived. (An “I ♥ Zayn” stick ’n’ poke tattoo may last forever, but your devotion to him probably won’t.) So where do heartthrobs go when our young love fades and the spotlight is no longer theirs—when we all grow up? Do they retreat to a secret island and live off the bottled tears of millions of weeping preteens? WHAT HAPPENS TO A DREAM STREET DEFERRED? On today’s episode of Divulging Embarrassing Personal Secrets With Gabby, I will attempt to find the answer by investigating the current states of my own childhood celebrity crushes. Where is he now? OK, technically Jake Ryan only exists in a movie, so the answer is: Exactly where he has always been and will be…FOREVER! In fact, most of the character’s appeal lies in the fact that someone like him will never exist. Being human prevents actual humans from achieving his kind of mysterious perfection. He is a dreamboat—nay, a DREAM YACHT. (Because he’s rich, ha ha ha.) As for the real-life Schoeffling, I had hoped that in fervently Googling his name I’d discover that he went on to star in many more films previously unbeknownst to me, a buried treasure that would allow me to continue ogling his lovely self in new roles and new outfits for years to come—or at least some photos what would prove that he’s aging as beautifully as ol’ Jolly. Instead I found hundreds of images of him as Jake Ryan. It appears as though there were no public photos taken of Schoeffling after 1990, when he starred with Cher and Winona Ryder in Mermaids. Further digging showed that soon after that he quit the biz, settled down, had some kids. The most recent reports, which are fuzzy and about a decade old, say he makes handcrafted wooden furniture in rural Pennsylvania. Perhaps he can build an artisanal oak shelf on which I can display my BROKEN HEART. Some people think it’s weird to declare Fatone, with his impeccably groomed soul patch, your favorite ’N Syncer, but to them I say, “Google Chris Kirkpatrick.” Fatone was clearly the most funny, lovable guy in the now-defunct boy band, or at least that is what nine-year-old me deduced from watching SEVERAL interviews with him on MTV in which he cracked jokes and clearly wasn’t letting fame get to his ego. He seemed to be the group’s backbone. I couldn’t imagine him as the kind of boy who’d steal the spotlight (unlike another member of ’N Sync who shall remain unnamed but who now sings about the components of his formal attire). Friedle is best known for playing Eric Matthews, the silly big brother of Ben Savage’s Cory Matthews on the beloved ’90s sitcom Boy Meets World. I know Will best as the actor who has played with my heartstrings from the age of five to…now! (Thanks, Netflix!) Lots of BMW fans only have eyes for Rider Strong, the dude who played Cory’s best friend, Shawn Hunter, but my loyalty stands with Will. If you’re not familiar with him or his glorious antics, here’s part one of a three-part series of YouTube videos devoted to his greatest moments as Eric. When Boy Meets World first aired, the character was supposed to seem cool and sophisticated, but over time he became goofier and goofier (which to me = DREAMIER and DREAMIER). I guess my crush on Will Friedle is, like my crush on Shoeffling, basically an infatuation with the character he played. Where is he now? After BMW, Friedle lent his voice to a whole bunch of cartoon characters, including Ron Stoppable on Kim Possible. There are rumors that he’ll be joining the cast of Girl Meets World, a BMW spinoff that’s in production right now, and I really hope they’re true. Since the reboot is in the hands of some of the show’s original creators, I have no bitter feelings—so far—that they could ruin the original Eric. You might recognize Robert Schwartzman from his role in The Princess Diaries, as Mia Thermopolis’s best friend Lilly Moscovitz’s big brother, Michael. (In real life he’s Jason Schwartzman’s kid brother). There’s something about his eyes that makes you feel like he’s peering into your soul and ~truly listening~. At least that’s what I’ve picked up on. In The Princess Diaries he’s the only boy who sees Mia when she’s “invisible”—i.e., who appreciates her for who she is before her royal makeover, and that really struck a chord in my invisible-feeling preteen self. Unlike my previous actor obsessions, my love for Robert Schwartzman transcended screens when I became a fan of Rooney, the power-pop band he formed and fronted. Where is he now? Rooney is reportedly on hiatus, but Robert released a solo album a couple years ago. Honestly, I haven’t listened to it—I’m not worried that it’ll be bad, I’m just afraid that it will somehow tarnish my image of Robert playing a piano covered in M&M’s. But the most important fact about his post-Diaries life is that he follows me on Twitter (where I’m joined by about 25,000 of his other closest friends)! this is so greeat! i loved robert character in the princess diaries. my heartbroke when i learned he wasnt in the second film/book. robert was also in the virgin suicides. i think our idols will fade the same ways as in the past, and become vintage tumblr photos. Michael Moscovitz is TOTALLY in the second Princess Diaries book! The movies kinda diverged from the path, but the books continued to follow Michael and Mia’s relationship. They’re actually so good! Yeah! People dismiss the Princess Diaries as some sort of stupid book series, but they really funny, empowering, teach you a lot and are completely relatable. JOLLY DINGWALD OMG. This is great. A couple of years ago (after suddenly remembering its existence from my childhood) I watched the entirety of Boy Meets World on youtube, so I was super pumped when I saw the header! 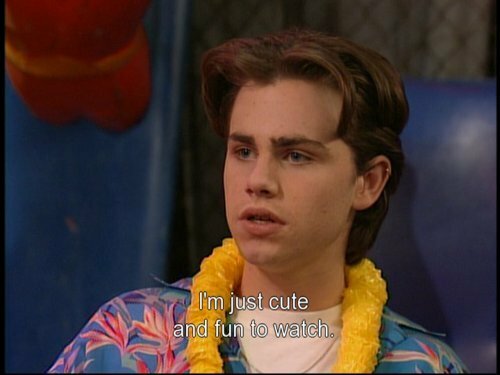 but also, i definitely have eyes for rider strong/shawn hunter only. The title is absolutely perfect. Also Michael Moscovitz is still my dream boyfriend. THAT IS SO COOL ROBERT FOLLOWS YOU ON TWITTER!!!!!!! I really loved The Princess Diaries, they were some of my favorite movies ever! Still trying to get the third movie ( if it came out yet). OMG I got a crush from someone in the Princess Diaries too!! It’s Jeremiah Hart, the red haired guy :’) I’ve got something for red haired guys! Dang he’s just perfect! What is it about those Schwartzman boys? They are both so dreamy. omg Jake Ryan yes.. also Mermaids is the best. Robert Schwartzman UH BABE. I didn’t realize Jake Ryan guy was also the guy in Mermaids. He was such a babe in that movie. Just add that to the laundry list of me wanting to be Winona Ryder in high school. The fact that Michael Schoeffling is a family man who builds things with his big, strong hands somehow makes him even HOTTER to me, which I didn’t think was possible! Thank you so much for opening my eyes to the Schwartzman brother connection. I don’t know how it didn’t cross my mind but it sure explains why I find them both so incredibly dreamy. god looking through my old crushes is worrying. It ranges from Daniel Radcliffe, to johnny depp, to jake gyllenhaal, to Taylor York, to David bowie and elvis. And those are just the ones I have at the moment. I thought for the longest time that I didn’t have any celebrity crushes and then I read Krista’s blog post on Effing Dykes about Amelia Earhart. HOLY CRAP. MICHAEL MOSCOVITZ!! OMG <3 :( but then it kinda breaks my heart a little to know that there won't be someone like him at my school. Oh the agony. Props for Gabby to admitting she had a crush on Joey Fatone!!!!!!!! That takes some guts. For me, it’s *Jason* Schwartzman 4EVER! ROBERT SCHWARTZMAN OMG he was my childhood LOVE! i adore the princess diaries!! eep! omg i used to have SUCH a huge crush on jake ryan. the hannah montana one. I'm sad to not see Mark-Paul Gosselaar as Zack Morris on here!! !